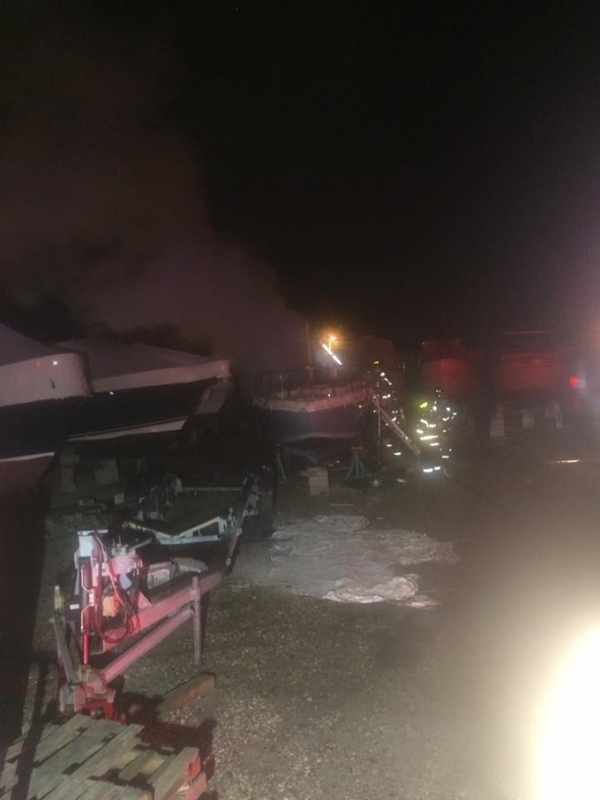 Just after 2am on Thursday April 14th the Islip FD was notified to a report of a boat fire at Martins Marine on Athasca Road. 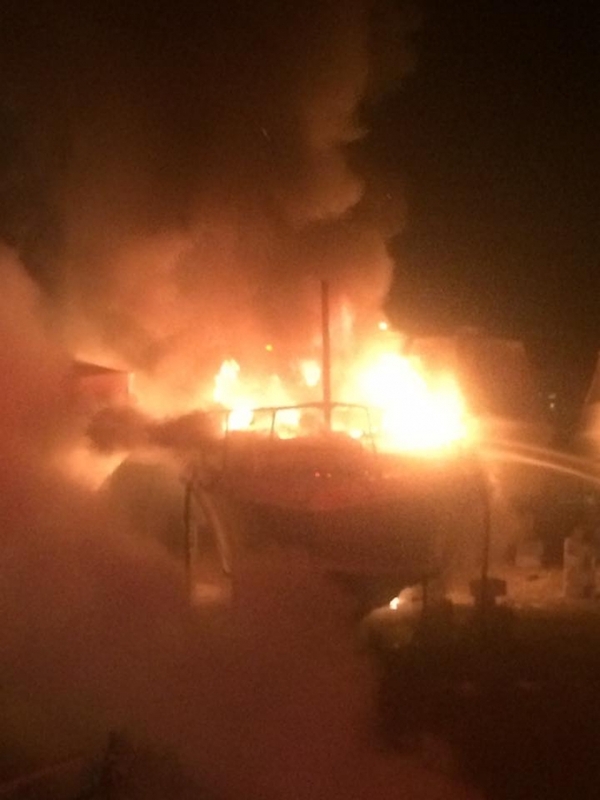 Islip units arrived to find a dry docked 30' boat fully involved and threatening neighboring boats in the boatyard. 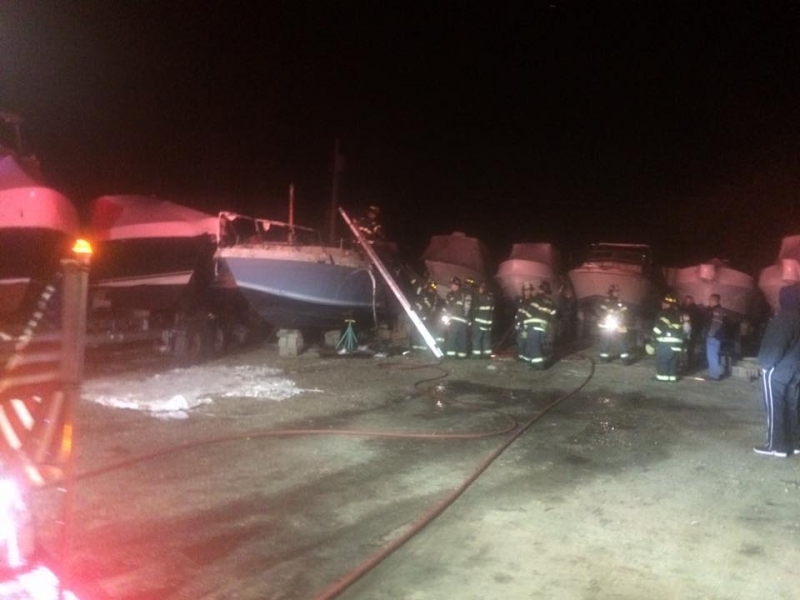 The fire was quickly extinguished and only partially spread to a second boat. The Islip FD operated with engines 3-4-1 and 3-4-7, Ladder 3-4-5 and all 3 chiefs. The Suffolk County Police Arson Squad was requested and the cause of the fire is currently under investigation. 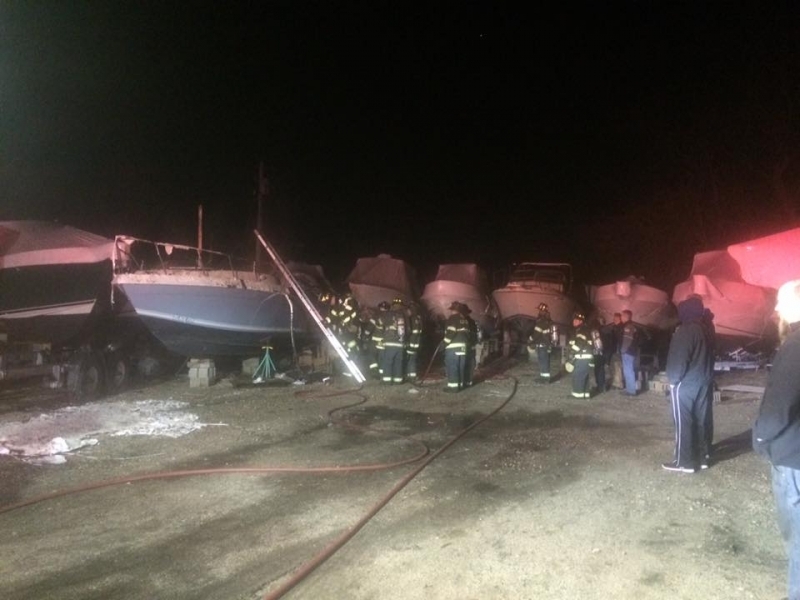 Islip units were under the direction of Chief of Department William Moon.